This is the one that started it all. The clever little gourmand spawned from the Queen of the Genre (Angel). A delicious Summer Princess that, instead of sticking with standard seasonal fare such as lemons and oranges, lightens the diva-behaviour of her mother with meringues, sorbet and candy floss. Yes, there’s lots of sugar here, but it is presented without guilt – never once is it gluttonous, nor is it sickly. The balance between the fresh, the sweet and the creamy is perfect, and Angel’s signature foundation of patchouli and vanilla holds strong amongst the glittering sugar crystals. Who is this delightful girl, you ask? She is Angel Eau Sucrée, my friends, and she is a stroke of genius. There was a time where I had written L’Artisan Parfumeur’s delightfully bonkers ‘Déliria‘ off as fascinating but unwearable. The metallic pineapple opening was simply a little bit too jarring for my tastes – interesting, but not particularly wearable. I was wrong, of course. A few weeks ago, on a particularly warm day, I spritzed some of this chaotic composition on, and the cool freshness of those metal pineapples was really refreshing. Also, the boozy rum note has a tropical feel that gives the impression of sun-soaked skin after a day at the fun fair. 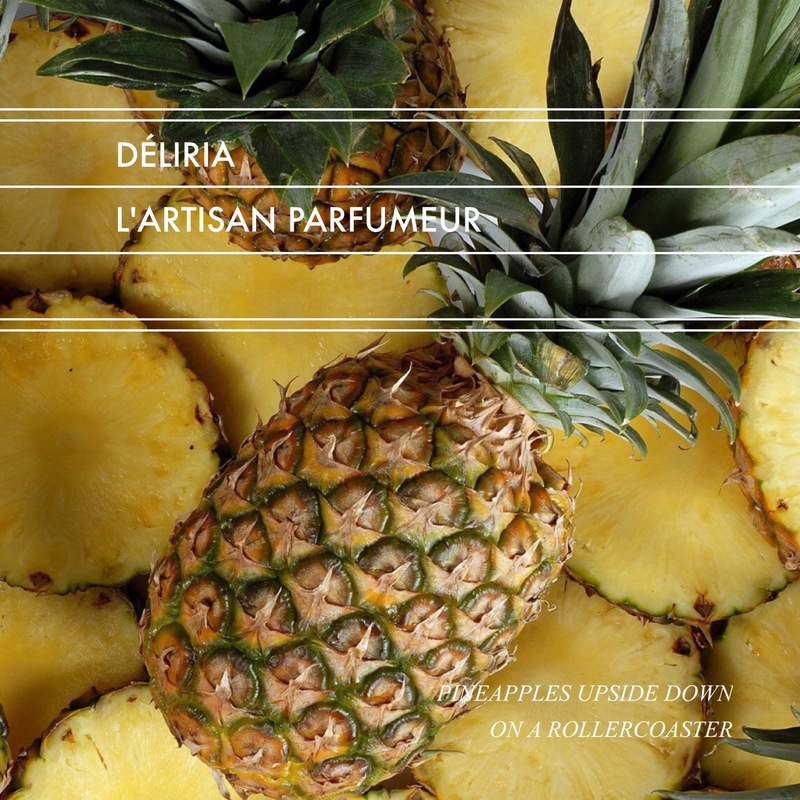 Déliria is pineapples upside down on a rollercoaster, and it’s wonderful (definitely still bonkers though). Oh, Tokyo Spring Blossom (formerly Urara’s Tokyo Cafe), can I count the ways I love thee? No, because they are endless. This is my summer jam, literally, because it smells like a delicious preserve (raspberry to be specific). If you’ve ever wanted to lay underneath a cherry blossom tree eating jam sandwiches as your body is caressed by a warm summer breeze (and let’s face it, who hasn’t? ), Tokyo Spring Blossom is as near to the real thing one can get without having to leave the house. This is the joy of summer in a bottle, with gorgeous fruity notes up top, rose and violets at the core and lots, and lots of raspberry jam. I dare you try it and not smile. If you do, and you don’t, you’re dead inside (sorry about it). If you were to ask me what the best lime fragrance of all time is, I’d say Virgin Island Water without a moment’s hesitation. CREED is far from my favourite brand, but I cannot deny just how darn good this fragrance is. Virgin Island Water is a luxurious cocktail served on a beach of white sands with a sapphire sea view. It splashes forth with flesh lime pith, strips of ginger, delicious sugar cane and plenty of white rum. There’s also a touch of ylang-ylang to boot, giving it a contemporary ‘mixology’ vibe. If, like me, you can’t afford the private jet and the trip to the Virgin Islands (I married for love, not money, sigh), simply give this a spritz, close your eyes and daydream. 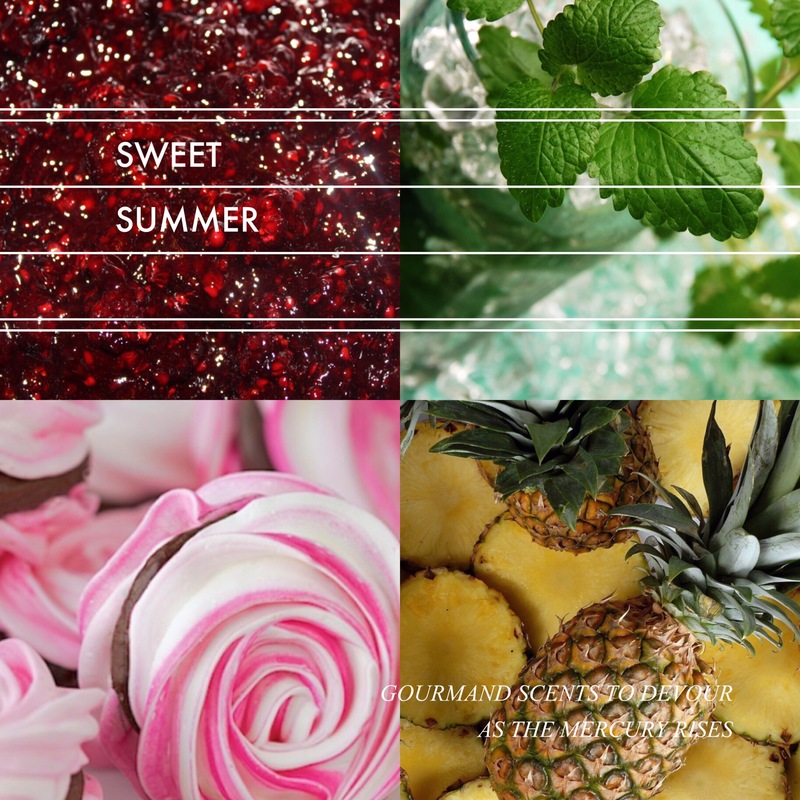 What sugary sweet, deliciously decadent and gorgeously gourmand scents do you like to rock in the summer? Would you like the alliteration to stop? Well, tough. Image 2 via thecafesucrefarine.com. Image 3 viahdwallpaperscool.com. Image 4 via makingofahome.wordpress.com. Image 5 via reallifebutbetter.com. Image 1 is a composite of 2, 3, 4 & 5. 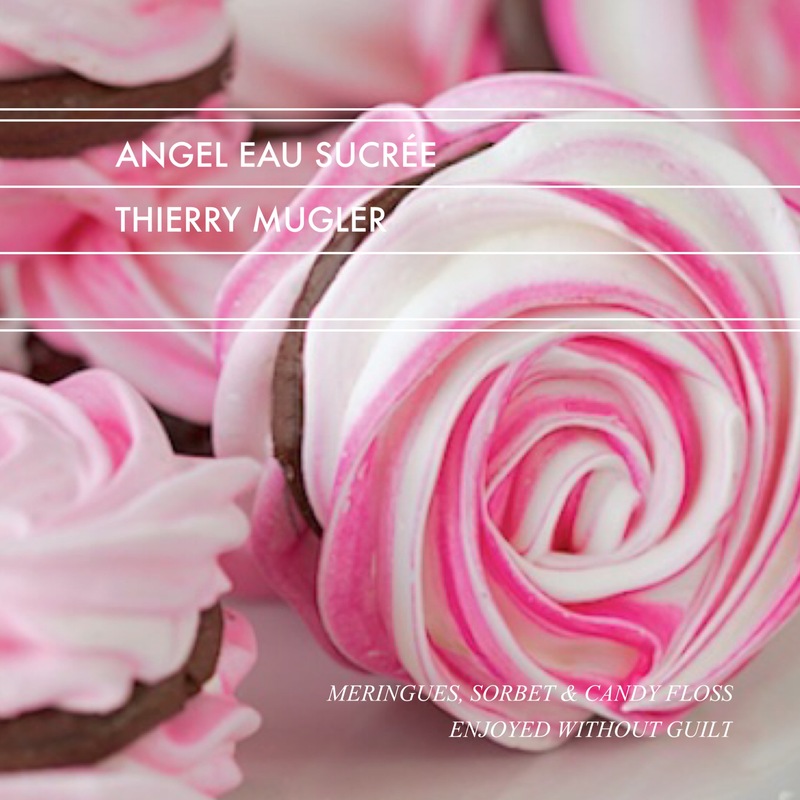 Posted in Gourmand and tagged 4160 Tuesdays, Angel Eau Sucrée, Creed, Déliria, Gourmand, L'Artisan Parfumeur, Summer, Summer Fragrance, Sweet, Sweet Scent, Sweet Summer, Thierry Mugler, Tokyo Spring Blossom, Urara's Tokyo Cafe, Virgin Island Water. Bookmark the permalink. And A*Men Ultra Zest for guys! You should try Dasein’s new Summer. Crisp and refreshing grapefruit, orange blossom, cilantro, and grass notes. Love it. Now that sounds intriguing! Thank you for the tip. I freaking love alliteration and I don’t care. I put it in every review. 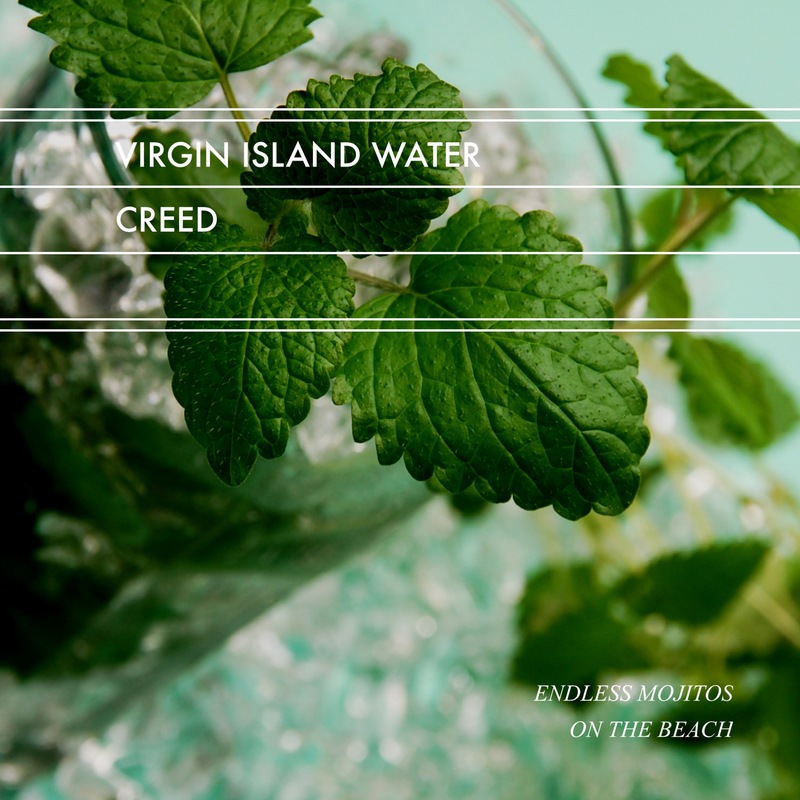 Now I have to try a Creed frag after reading about Virgin Island Water. I need a summer lime perfume and if you say this is the best, that’s it. VIW is superb, seriously. The lasting power is annoyingly CREED-like (i.e. sub par) but whilst it last, boy, it’s good! Lovely. 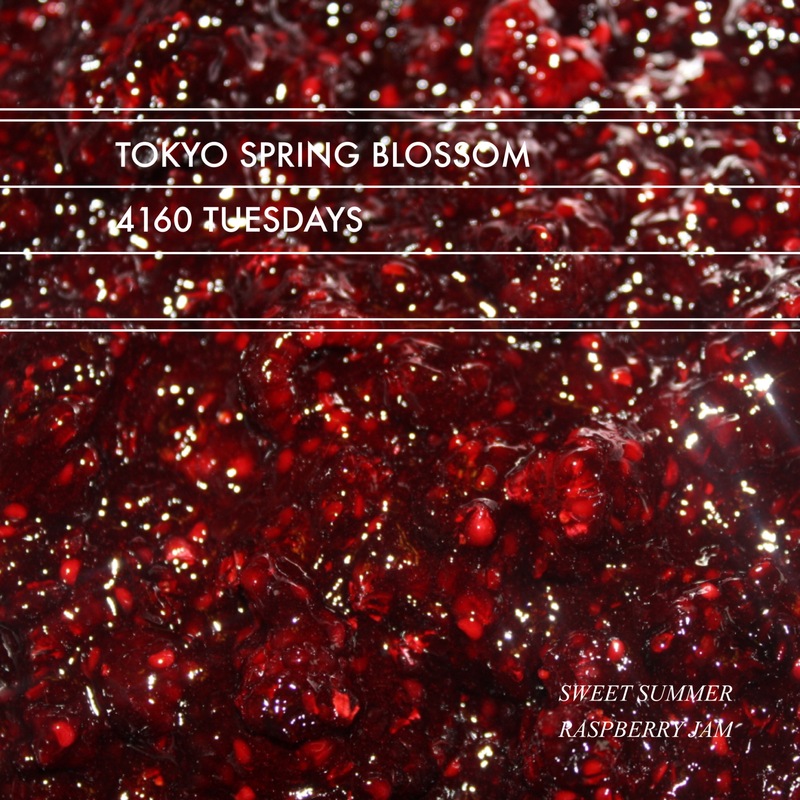 I must try Tokyo Spring Blossom. I’m wearing a lot of Ananas Fizz as my pineapple. You must! I blooming love it. Ananas Fizz is pretty superb too, I must say. Great choice! LOVE lists and yours are always especially diverse. When I read Tokyo my mind went instantly to Tokyo Bloom by the Different Company, a lovely soft green, green running through to warmer amber. It’s cologne-esque but lasting power is definitely EdT or better. Did you ever try it? I haven’t, but now I want to! Sounds interesting. I’m finding myself more friendly towards green scents in my old age. Oooh, good choice! I quite like the Couture version for summer too. That’s really interesting. Some heavy scents can wear so wonderfully in the sticky summer heat. I like the sound of the anise being stronger in the summer in LHB. I’m going to give it a go! Terrific writing, as always! A sample of Deliria fell into my hands months ago. I didn’t know anything about it, just applied it and started laughing. Bonkers is correct! And I liked it! I need to try it now in the heat of summer. I wore Tom Ford Black Orchid in 93 degrees F plus high humidity and it was surprisingly wearable. It’s not gourmand really, but it does contain a lot of vanilla. Thank you, Suzy Q! Déliria is quite something, isn’t it? It actually took me quite a long time to appreciate it. Black Orchid reads as gourmand to me so I completely get you. I really love this list. Definitely going to try Tokyo Spring Blossom. P.S. The images you used are awesome too! Why thank you! Do try TSB, it’s gorgeous.